All stories—no matter what culture—have two things in common: a hero and a journey. A hero with a goal, overcoming obstacles, learning lessons and transforming in some way by the end. Mostly for the better, if it’s an upbeat movie with a Disney ending. Matthew Luhn, former Pixar storyteller and animator, knows what it takes to create a great hero. For over 20 years, Luhn worked on Academy Award-winning Pixar films, such as Toy Story, Up, and Ratatouille, among dozens of others blockbuster films. In his exciting new talk, “Effective Leadership, As Told by Movie Heroes,” Luhn teaches businesses and leaders how movie heroes show the same five traits time after time— vulnerability, likability, vision, structure, and teamwork—and how to cultivate these traits. Of these five traits, the most important for a great leader is likability. If we don’t like a hero within the first 10 minutes of a movie, we’re going to lose interest and stop watching. Likewise, if a team or client doesn’t like their leader, they won’t feel inspired to follow them or produce great work. 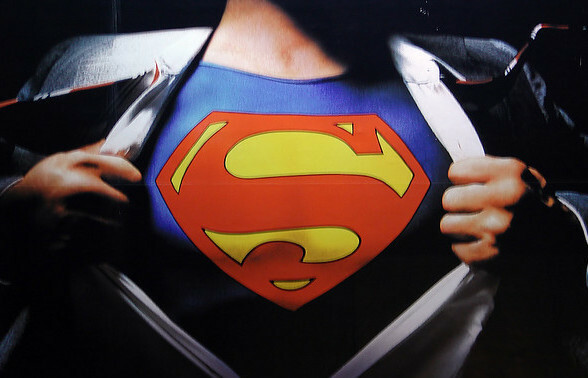 Luhn explains, for us to like a hero (or a leader in business), a hero has to do one of three things to create empathy: Perform an act of kindness for a lower status character, share a story of when they were a child, or position oneself as the underdog. For example, in the film Aladdin, Aladdin is an arrogant, cocky, street rat. We watch him steal bread and easily outwit his pursuers. But right before Aladdin takes a bite of his stolen bread he spots two starving orphans, and hands them the loaf. Now we know that Aladdin is not just an arrogant thief, but a good person who looks out for the little guy. He performed an act of kindness towards lower status characters and now we like him. Businesses can also commit small acts of kindness by helping the environment, working for social causes, or advocating for the local community. Another great way to get an audience to like a hero is by sharing a story or image of when they were young. We were all kids once, so seeing them brings a hint of nostalgia to the scene. From Brave, Monsters University, UP, and dozens of other Pixar films, many storytellers use this small trick to get the audience to like the main character. If you really want to play it up, make them an orphan. When George Lucas wanted to create likability for Darth Vader in The Phantom Menace, he showed Vader as a young Anakin Skywalker who loves to build robots and podracers. And then right after you decided all you ever want to do is pinch his cheeks, Lucas orphans him. As a leader, you can do the same. Whenever you share a story about something that happened when you were a kid, it shows you as being open and vulnerable, and thus, more likable. One final way to create likability as a hero is to be seen as the underdog. We always root for the underdog and empathize with this hero because we too see ourselves as underdogs at moments in our lives. This is why we like Remy the rat in Ratatouille. As a rat getting chased out of kitchens we see Remy as a vast underdog, so we root for him. We also like businesses that are cast in the role of underdogs. That’s why many people rooted for Apple against IBM, Pixar against Disney, and Uber against taxi drivers. 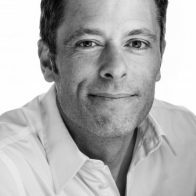 If you want to learn more about how to lead like a hero, contact BigSpeak today to book Matthew Luhn to get the secrets behind the five steps on effective leadership as told by movie heroes.